Join these majestic creatures soaring in thermal columns or perched on their sheer granite cliffs. Help protect and expand the Iberian habitat for Griffon, Egyptian and Black vultures by protecting your own area of their cliffs. This includes the purchase of new land, the construction of nesting platforms, key research and the operating costs of feeding stations during the breeding season. You can learn the full story below. ﻿The next batch of 360-degree photos will be collected and sent out in July! 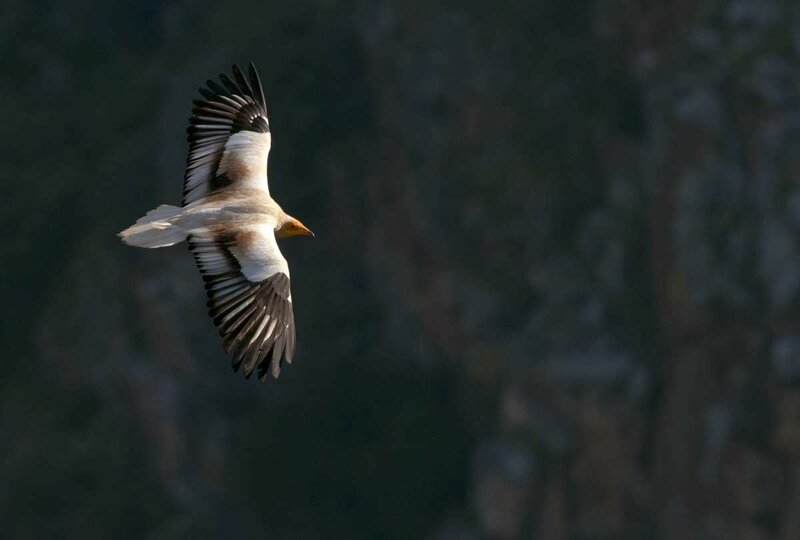 Whether you call them a committee, vault or venue of vultures, these mythical and majestic creatures can be found soaring in the thermal columns over the granite cliffs of Western Iberia. This is their home, breeding ground and even migration point for the spectacular Egyptian vulture that comes north each summer to nest. 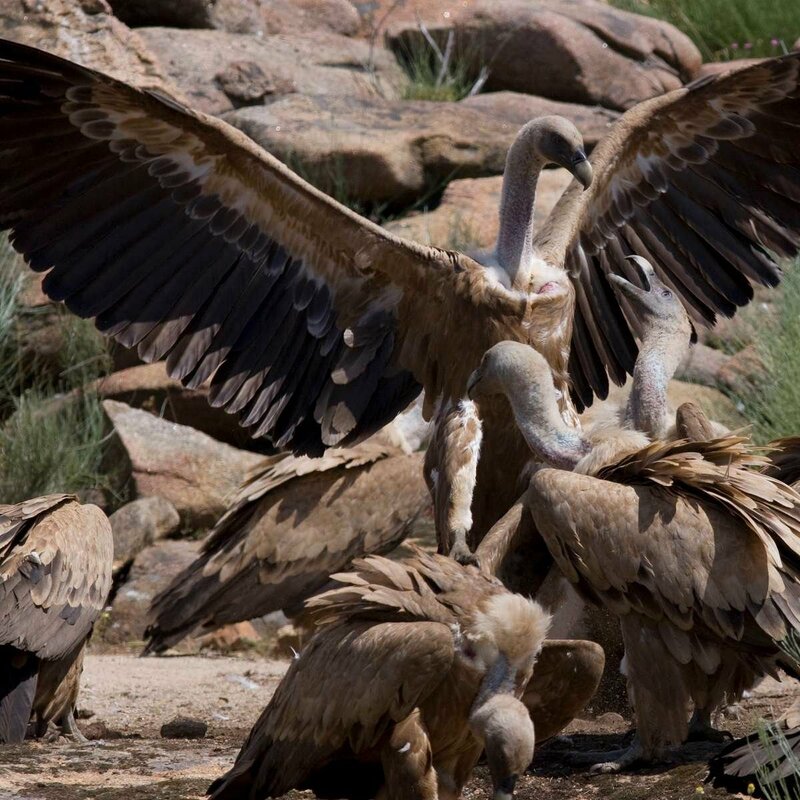 The region is home to the medieval looking Griffon, the migrating Egyptian vultures and endangered Black vultures. They all scavenge on a range of food from mammal faeces, to insects in dung, carrion, small animals and vegetable matter, which makes them a critical part of the reserves’ ecosystem. 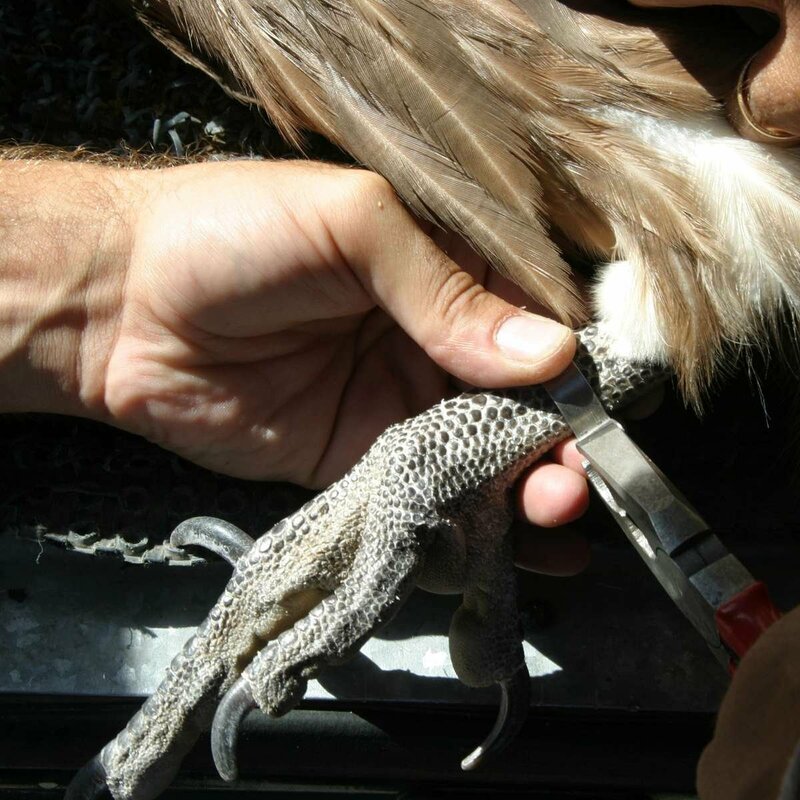 Тhe Griffon vulture feeds mainly on the softer parts of carcasses, such as the muscles and viscera. Because of its long neck, this species is able reach far into the carcass without snagging. Vultures are mostly silent but make high-pitched mewing or hissing notes at the nest and screeching noises when squabbling at a carcass. Supporting the comeback of vultures in the Faia Brava Reserve is not only good for nature itself, but great for the area’s thriving nature-based economy too. 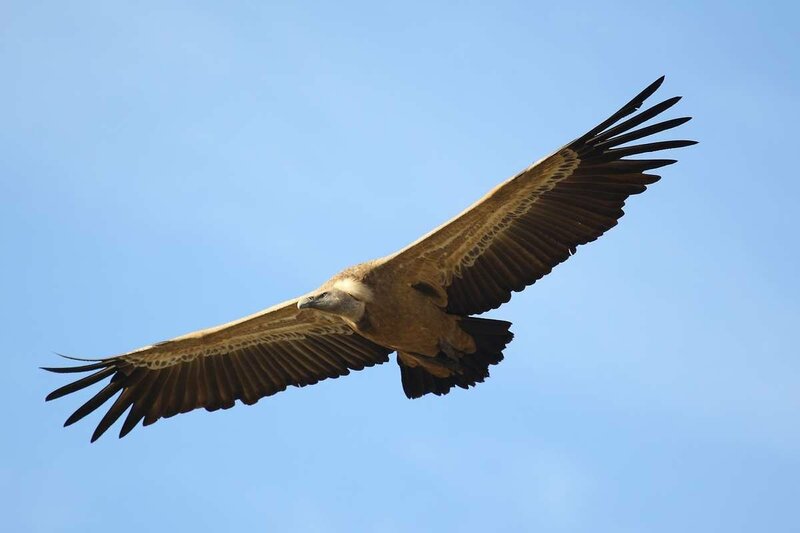 The 200km long Côa Valley Grand Route takes hikers, birdwatchers and wildlife enthusiasts right through the Faia Brava reserve, allowing them to see the vultures first hand. By joining the committee you will be helping us protect and improve the vultures' habitat in the Côa Valley. You will also be helping researchers study their behaviour so they can inform conservation efforts on how best we help these beautiful birds. Did you know that a group of vultures feeding is called a wake, and that the leader of the committee will always eat first with wings spread wide. It is only when it lowers its wings that the other vultures may begin to eat.